After finishing a semester abroad Sarah and her friends decide to celebrate over the weekend in an old villa that Sarah recently inherited. 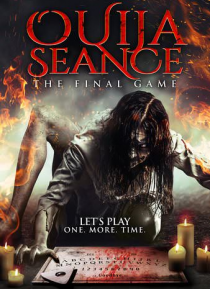 However, after playing with an old Ouija Board they found in the attic Sarah and her friends soon realize that they have summoned an evil force. What should have been a fun weekend soon becomes their worst nightmare as one by one they must face their deepest f… ears to fight the unimaginable evil they have awoken.